For the last three years, I’ve produced and hosted a radio show on WIOX that airs live on alternate Mondays at 9am out of Roxbury, New York. Two years ago, I did a series on feminism called Women in Film and set about doing research for the series. At the time I did my research two years ago, in about July 2013, the UK’s Guardian newspaper had reported the previous week that a recent study of 2012’s 100 highest grossing films found that only 28% of the speaking roles went to women. To say I was shocked and saddened is not exactly true because I was already certain that we have a long way to go before there’s some equality in Hollywood, so I just hunched over my desk with a long sigh and put my face in my hands. A more recent statistic from the same publication is not much better: “women accounted for only 12% of on-screen protagonists in 2014, and just 30% of characters with speaking parts”. Deciding to prove it for my listeners, I crunched some actual data (for movies made up to and including 2012) and came up with my own inevitable conclusions and present a random selection of that data here. For example, you may think that stars like Julia Roberts, Diane Keaton, and Meg Ryan at the height of her career, get top billing over their male co-stars in most of their movies, but alas, you would be totally wrong. Julia Roberts got top billing in only 45% of her acting roles, for Jodie Foster it was 34% and Diane Keaton it was 38%. Halle Berry has got top billing in only 45% of the movies she was in, but she wasn’t the lead in Monster’s Ball. She got the Oscar for Best Supporting Actress. You might think Kate Winslet was the star of The Reader, but that was Ralph Fiennes. Winslet got Best Supporting Actress Oscar for that role. The most surprising was Meg Ryan who has only got top billing in 28% of her movie roles, which is about what your average Hollywood male actor like Jeff Daniels used to get before he moved to television stardom. As one of the top ten American movie stars of the nineties, Ryan was still billed after Tom Hanks in two of the movies they did together, Sleepless in Seattle and You’ve Got Mail, even though her stardom rivaled Hanks at the time. Of seven movies Ryan did headline, two of those were female ensemble casts. By 2013, Tom Hanks had got top billing in 80% of his movies, taking second billing to only two actresses in his career, Sally Field and Kim Basinger and that’s because he had bit parts in those movies. At the time of my crunching, a scan of the website IMDB revealed that of the most popular films of 2012, 75% of them had a man in the leading role. More important than all this is the fact that women over 40 are inadequately represented in Hollywood movies. Of the 25% of those 100 movies that featured a female lead role in 2012, just six actresses were over 40. They were Naomi Watts, Gwyneth Paltrow, Cameron Diaz, Jennifer Garner, Barbara Streisand and Dame Maggie Smith. Cameron Diaz, Jennifer Garner and Gwyneth Paltrow were only just into their forties at the time of my crunching, even though they certainly don’t look even close to 40 years old. Only two of those women were much older: Barbara Streisand and Dame Maggie Smith. Even the hilarious, smash hit comedy, This Is 40, about a married couple hitting 40 years old, features its female costar, Leslie Mann, who played one half of the married couple, billed below the male lead, Paul Rudd. This is remarkable if you consider that she’s married to the writer and director of that movie, Judd Apatow. Apatow wrote a lead role in his own movie, for his wife, but yet she was not billed as the star of the show. She had to come after her male co-star in the credits on the movie poster even though the movie was about a couple. If your own influential husband can’t put a 40 year-old woman in the top billing in his own movie, that he wrote and directed, what hope is there for any other female actresses? It’s true that this comes as no surprise, but why can’t it be changed? Youth takes seniority for Hollywood women and moreover, men take seniority over all women in the industry. 2013’s summer blockbusters, Thor, GI Joe and Oblivion, all boasted leading ladies who were born in the eighties. Oblivion’s female star is 20 years younger than it’s male star, Tom Cruise. GI Joe’s female star was born in 1983. Natalie Portman, star of Thor, was also born in 1983, as was the female lead of Jason Statham’s latest movie Redemption, Vicky McClure. Jason Statham was born in 1967 making him about 15 years older than his leading lady. 2013’s Jack Ryan stars Kevin Costner who is a full 30 years older than Keira Knightley, the film’s female co-star. Any movie Sean Connery has been in has had very, very young female supporting roles played by actresses like Catherine Zeta-Jones, who was 39 years young than him when they filmed Entrapment. Peta Wilson was 40 years younger than him and Alison Doody was 36 years younger than him in the Indiana Jones trilogy. If you’re waiting for my point, here it is. I recently decided to resume my Women in Film series and crunch the data for 2014 and the 2015 summer movie season. In preparation, I tried to only watch movies with a woman in a lead role. Not only is this is tremendously difficult but, co-incidentally, it’s also a quest I share with one of the subjects of Photography for Girls, a new project developing here in the Catskills by Ohiso, the publishing partnership based in the Catskills behind Green Door Magazine. Ohiso teamed up with photographer Kelly Merchant to create images of female subjects in which they are represented in the way they prefer, as opposed to how they would be depicted in the media. The first lady interviewed by Akira Ohiso described how “heartbreakingly hard it is” to find movies “with at least two women in it” and other criteria such as “the women actually have to have names, they have to have a conversation and that conversation has to not be about a guy”. I haven’t gone that far, but I now I feel I compelled to do so. There’s a reason why Lieutenant Ellen Ripley is held in such high esteem and seen as a legendary figure in modern cinematic history. It’s because women like her are so rare on the silver screen that we idolize them. Ripley saved the universe from aliens and eventually became one. She was indisputably the star of all the Alien movies, but she did not get top billing. Top billing went to Tom Skerrit in the first instance who is not the hero of that movie to say the very least. Weaver gets top billing now though. If you do things like download movies from iTunes, you’ll see that Sigourney Weaver now gets top billing in the 1979 director’s cut from Ridley Scott. The fashion industry is worse than the movie industry because the women depicted are static, completely unrealistic versions of themselves, having been airbrushed to be missing pores, fat or indeed any blemish at all. Photography for Girls is a project on a mission to present an “honest, unfiltered look into a woman’s world” with Book One, which contains an interview and one image of 13 local women of varied backgrounds. In the book’s moving foreword, Akira Ohiso addresses being a male conducting the interviews and writes about being parent to a daughter after two boys. Says Ellie Ohiso: ” It all started when photographer Kelly Merchant, with whom we had the pleasure of working with as a photographer for Green Door Magazine, happened upon an 1892 Cyclopedia excerpt entitled “Photography For Girls”. The text written over a century ago lamented that more women have not gone behind the camera as their delicate sensibilities were peculiarly suited to the art. Kelly has been photographing women for years and wondered if her being a female photographer had an impact on the subject. How did these women feel about being photographed through a woman’s lens? We had collaborated so effectively in the past with Kelly and she came to Akira and I to bring this concept to fruition. Kelly gave the women in the book a lot of creative control over how they would be photographed. Some of the women even picked the final image that ran, others helped style the photograph itself, most wore no makeup. Kelly only did some color corrections, but none of the women’s faces or bodies was manipulated through Photoshop. 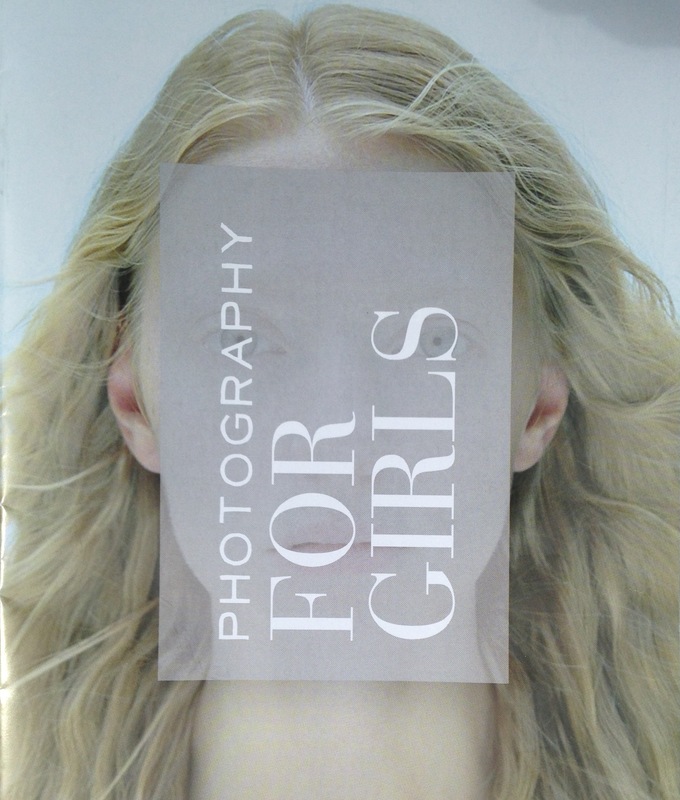 Find out where you can get a copy of Photography For Girls here. This entry was posted in First Person Dispatch and tagged Catskills Photography, Catskills Publishing, Feminism in the Catskills, Mountain Life, Photography on August 4, 2015 by JNUrbanski.